I am on a roll today and wanted to show you all the cards I have been making. I have been busy! Make sure you take a moment to check them out! 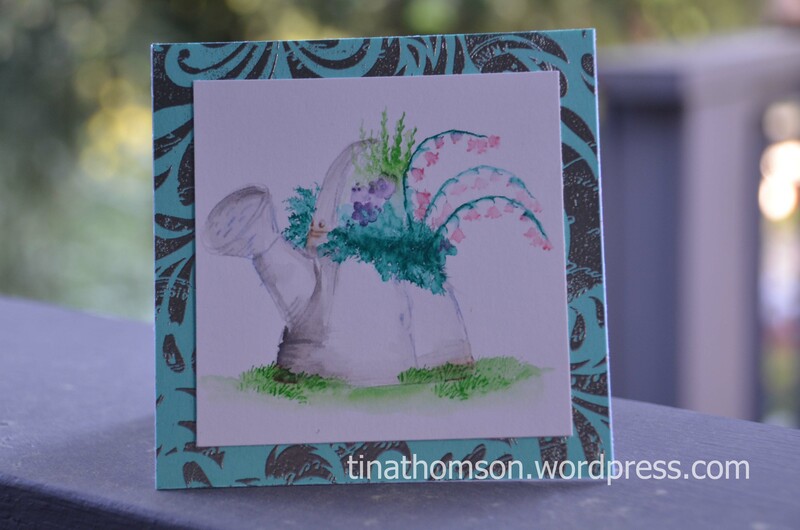 This is my final watercolor stamping card I created using the Art Impression rubber stamps. They are just so much fun to play with. I will say, it did take me a little time to get used to stamping with such small images. It also took me great restraint to not use a tons of water, for this technique you use very little water. Just to every so slightly soften the edges. I stamped the background with a Hero Arts background stamps, and heat embossed it using the Liquid Platinum embossing powder from Ranger. I used this for another card and fell in LOVE! Watch out, because everything from here on out will have this embossing powder on it!